Everyone’s getting excited about 5G, the next-gen network tech that will let you casually download data on your smartphone at lightning-fast speeds, including T-Mobile. Yet unlike Verizon, Sprint and AT&T, T-Mobile has only confirmed a single 5G phone that will work on its 5G network. Why? Because of the network itself, which works differently than those of other carriers. The signature phone coming to many of these carriers? The Samsung Galaxy S10 5G with its Snapdragon 855 chip, which doesn’t have a formal release date yet, but will be available to Verizon customers sometime in Q2 2019. T-Mobile is also getting the S10 5G sometime in summer (perhaps later than Verizon), per the carrier's blog post. But it will likely work with only a small portion of T-Mobile's eventually-broad and unique network. The first part of the T-Mobile 5G network will be a similar kind of high-frequency mmWave that other carriers are building out, which the Galaxy S10 5G is designed to work on. 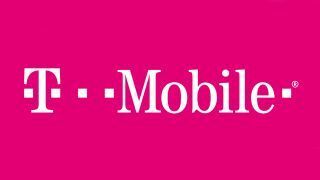 As with the other carriers, T-Mobile will also support the Samsung Galaxy S10 5G. From what we've seen, this will be a true top-tier device: a 6.7-inch AMOLED display, the latest Snapdragon 855 chip, 256GB of storage and 8GB of RAM. We don't know how much it'll cost; the closest comparison, the S10 Plus, starts with lower specs at a baseline of $999 / £899 (about AU$1,398). The S10 5G is otherwise a stepped-up version of its S10 siblings, packing a trio of rear lenses (12MP wide, 16MP ultrawide and 12MP telephoto) as well as a fourth time of flight sensor to measure depth. There's another TOF sensor on the front for depth-augmented selfies. This phone is coming to T-Mobile customers sometime in summer. Early reports suggest the S10 5G won't, however, work on the broader nation-spanning primary network T-Mobile is working on now: a low-band (sub-600MHz) spectrum to power its early 5G networks. It's expected to offer the opposite of mmWave - less speed than high-frequency networks, but more range for better coverage. Eventually, it plans to supplement this with mid-frequency bands as part of its spectrum of service – it's currently testing millimeter wave in Atlanta, Los Angeles, Miami, New York, Ohio and a few other places (potentially covering 100 million people), per an MWC 2019 interview with PC Mag. But the carrier plans to add much of its mid-frequency bands after the carrier’s proposed merger with Sprint – which US Senators have opposed. In lieu of those other bands, T-Mobile has carried on testing its sub-600MHz 5G network, and is purportedly rolling out 5G it in its planned first 30 cities, which customers won't be able to take advantage of until more phones come out. For the sub-600MHz line, this might not be until the second half of 2019, per CNET. The reason? There just aren’t any phones out that’ll work with the low-band network. Not yet, anyway. Remember the Samsung Galaxy S10 5G? Its Snapdragon 855’s LTE modem doesn’t support 5G, so the phone relies on a discrete modem – the Qualcomm Snapdragon X50 – to connect. But the X50 modem doesn't support 'sub-6GHz' (in T-Mobile's case, its sub-600MHz) networks. At a Snapdragon summit back in December, Qualcomm’s president implied that a modem won’t be available to support T-Mobile’s early 5G networks until at least mid-2019, per PCMag. T-Mobile previously asserted back in 2018 that it would bring 5G to 30 cities to start, and the first customers to get it will be in New York City, Los Angeles, Dallas, and Las Vegas. We don't know how much infrastructure the company has already built out, though customers won't be able to take advantage of whatever's there until compatible devices are released. For mmWave, that's the S10 5G, coming in summer; for the sub-600mHz, we're waiting to hear about any devices that will support it. After that is a broad rollout to rural customers. T-Mobile opted for sub-600MHz for its farther range, which should cover more area with less infrastructure than the high-frequency networks other carriers are building out. Once fully launched, T-Mobile claims its network will cover over 95% of the country's around 62 million rural residents, per a company blog post. They might not see the network's about 450Mbps average download speeds, but two-thirds of them will get above 100Mbps by 2021 (up to 90% in 2024), which is still far better than the 30-40Mbps you'll get today. So, in summary: aside from the S10 5G coming to its mmWave areas, we don’t know what other phones T-Mobile will offer on its low- or mid-band 5G network. If the carrier merges with Sprint, it's unclear if the combined company’s ur-network would support additional higher-band devices like those packing the Snapdragon 855/Qualcomm X50 modem setup (seen in the Samsung Galaxy S10 5G). That’s currently the only chip/modem combo available in the US, though that could change if T-Mobile secured a device running an existing but international 5G setup not run in the US (like that from Huawei or Samsung). Likewise if Intel or MediaTek release a 5G chip/modem later this year which works with T-Mobile’s low-band setup. But that's just for early 2019. Later this year, things will change – starting with the next generation of Qualcomm modems the company announced before MWC 2019. The Snapdragon X55 modem will surpass this year's X50 in several ways, including supporting virtually any band in any region in the world. The X55 is expected to appear in phones later this year, which could include the Samsung Galaxy Note 10 or Google Pixel 4. It's all speculation from here, but the X55 should have a stronger showing in 2020 – when more phones appear that could connect to T-Mobile's 5G network. In fact, T-Mobile CTO Neville Ray confirmed to PC Mag that the carrier would only launch its 5G network once phones were available on the X55 modem chip. We'll just have to wait for more phone details as they appear.